Last week, the International Criminal Court’s Office of the Prosecutor announced that it’s planning to add 60 counts of war crimes and crimes against humanity against former Lord’s Resistance Army commander Dominic Ongwen. With a total of 67 counts, Ongwen is the latest, and most obvious, example of the new approach of Chief Prosecutor Fatou Bensouda. When she took office in 2012, Bensouda was quick to step away from the practices of her predecessor, Luis Moreno Ocampo, and forge ahead with a different way of working. The first nine years of the Court under Ocampo were dominated by “focused” investigations. Bensouda preferred a different approach, specifically “open-ended, in-depth investigations”. 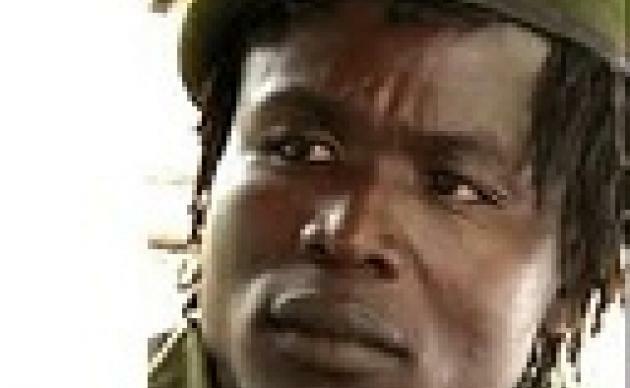 In the initial arrest warrant dating from 2005, Dominic Ongwen was accused of seven counts – three counts of crimes against humanity and four of war crimes. The additional 60 pushes him above and beyond any other person accused or indicted by the ICC. The LRA commander-in-chief, Joseph Kony, accused of 33 counts, is currently at large. Vincent Otti, second-in-command, is accused of 32 counts of war crimes and crimes against humanity, less than half of what Ongwen could potentially face. Before last week, Ahmad Harun and Ali Kushayb – both accused of committing crimes in Darfur – topped the list of persons potentially facing the most counts. Kushayb is accused of 22 counts of crimes against humanity and 28 counts of war crimes, bringing his total counts to an even 50. Harun is just behind him with 42 counts – 20 crimes against humanity and 22 war crimes. Looking at the lower end of the scale, there are several individuals who are accused of, or charged with, less than a handful of crimes. The former president of the Ivory Coast, Laurent Gbagbo, is about to face four counts of crimes against humanity. Saif Gaddafi, currently detained in Libya, is accused of two counts of crimes against humanity. Excluding the outliers at the higher end of the scale (Otti, Kony, Haroun and Kushayb), the average number of counts for an alleged perpetrator at the Court is six. Ongwen’s initial seven counts put him right around the average. If the same approach is applied to old arrest warrants, questions will surely be raised whether it’s a sustainable for an already under-resourced OTP to add so many counts. But broadening investigations is only one of the steps that Bensouda has taken during her tenure. In a policy paper in 2014, the OTP solidified its commitment to fighting sexual and gender-based crimes, after making it a key goal in its 2012-2015 strategic plan. In its policy document, the OTP said it will “ensure that charges for sexual and gender-based crimes are brought wherever there is sufficient evidence to support such charges”. In the additional charges against Dominic Ongwen, there are now 19 counts related to sexual and gender-based crimes. In the original arrest warrant there were none, something which came under substantial international criticism at the time. A majority of the counts added for SGBCs has been redacted in the prosecution’s notice of additional charges. It most likely relates to sexual and gender-based crimes committed when individuals were taken back to camps. The LRA has a well-documented history of abducting individuals during raids and turning them into ‘wives’ of soldiers and commanders. 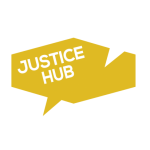 Philipp Schultz, a PhD candidate at the Transitional Justice Institute (TJI), Ulster University, believes that the developments in the Ongwen case underscore the commitment of the OTP to prosecuting SGBCs. Another significant addition to the charges against Dominic Ongwen are those related to the use and conscription of child soldiers. The LRA’s use of child soldiers has been consistently highlighted. Many were left surprised when charges relating to child soldiers were omitted in the original arrest warrant. Much has been made of the fact that Ongwen himself was abducted by the LRA and used as a child soldier. The added counts relating to the use and conscription of child soldiers will therefore mean that Ongwen could be charged with committing crimes which he’s also been the direct victim of. The pre-trial chamber in the Ongwen case has scheduled the confirmation of charges hearing on 21 January 2016. The chamber has recommended that the confirmation hearing be held in Uganda, preferably in Gulu. However, the presidency has yet to make a decision on the recommendation. The Court has to date not held any hearings outside of The Hague, although this has been previously suggested. Emanuele del Rosso is an Italian cartoonist who works for Justice Hub.